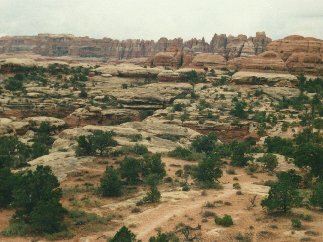 Canyonlands National Park resembles all the typical features of the area: canyons, bizzare formations and rare vegetation. 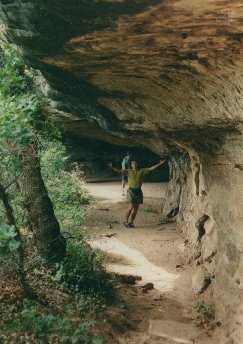 So, if your time is limited, this is a good place to get some impressions of the canyon area of the states. 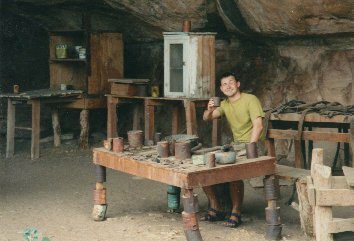 At Cave Spring you can take a short hike to see some funny relicts of the good old times of the wild wild west...well...at least, that's how it looks like. I honestly don't know, if they are authentic...but, why not? In the southern part of the park are some needle like shaped rocks, which are called...well...The Needles. They are really very abstract formations and certainly worth a visit. Since we only drove through the park and had little time, we decided to take the gravel road to Elephant Hill in the west of the park. 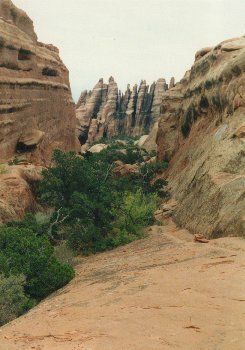 From there, you'll also have nice views of The Needles and other formations.